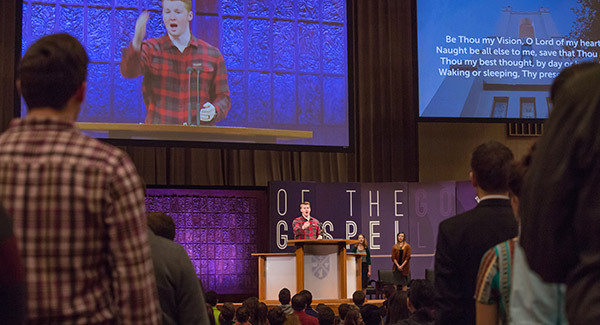 An essential part of the BJU experience, chapel is a time for the university community to gather together around God’s Word. Through faithful preaching and teaching, you’ll be challenged and inspired to know, love and serve God with all of your life. Chapel meets in the Founder’s Memorial Amphitorium at 11 a.m. Guests are welcome to attend. 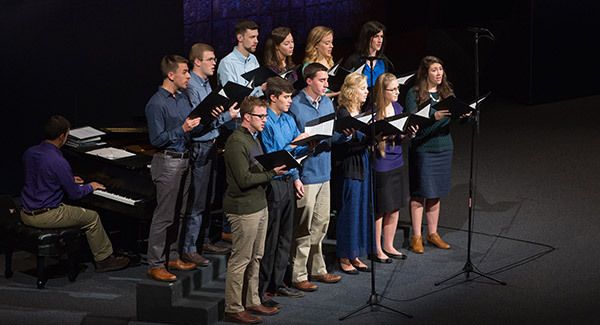 Each semester two different themes are covered—a discipleship theme and a doctrinal theme. The discipleship theme, presented by President Pettit, corresponds to the studies that the residence hall discipleship groups do. The doctrinal themes are presented by Bible and Seminary faculty members. Throughout the year, we will be webcasting chapels that are focused on our two semester themes. If you aren’t able to watch live, past messages are available on demand. Listen to more sermons at SermonAudio.com. Want a message on CD? Contact the Bruins Shop at 1-800-252-1927 or by email. Messages are $2.50 plus shipping/handling.